Pacific Gas and Electric Company (PG&E) requested approval of four energy storage projects totaling approximately 567 MW and 2,270 MWh (2.27 GWh), in a filing at the California Public Utilities Commission (CPUC). The total scale of the projects is bigger than anything else we have so far seen - two of those projects will be bigger than the biggest installations in the world currently. 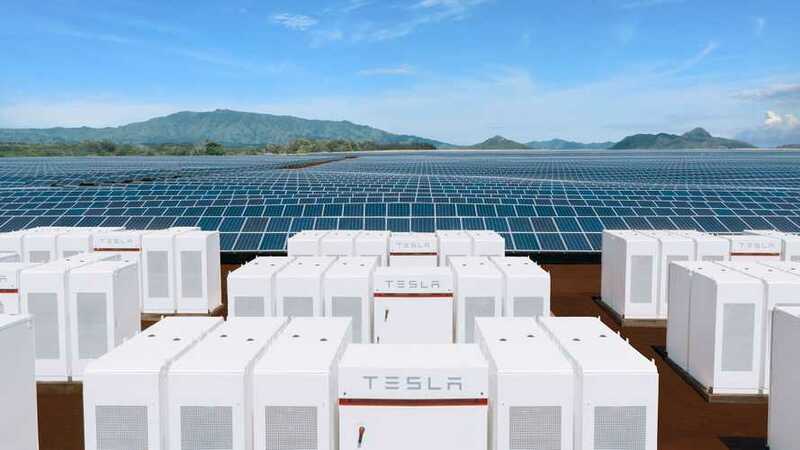 Tesla was mentioned as a supplier of one of four ESS - 182.5 MW and 730 MWh unit, which in terms of energy would be over 5.6-times bigger than world's largest in Australia - 100 MW / 129 MWh. The ESS from Tesla will be owned and operated by PG&E at Moss Landing substation (three other projects to be third-party owned). 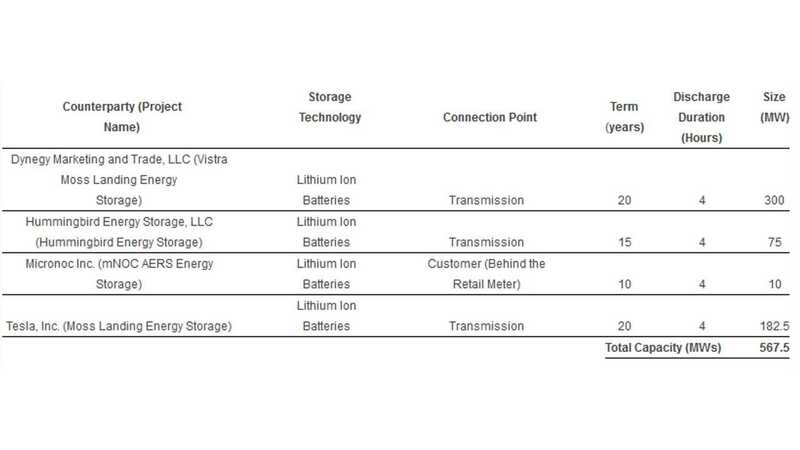 As you can see in the table below, the Vistra Energy will deliver even bigger ESS (a stand-alone, transmission-connected located in Moss Landing) - 300 MW and 1,200 MWh (1.2 GWh), which is beyond any battery storage system. Beside small 10 MW and 40 MWh unit by Micronoc (aggregation of behind-the-meter batteries located at customer sites and interconnected to local substations within the South Bay – Moss Landing local sub-area) we also noticed significant 75 MW and 300 MWh ESS (a stand-alone, transmission-connected 75MW BESS located near the city of Morgan Hill) by Hummingbird Energy Storage. It's an open question who will supply batteries for the three projects aside Tesla (which with Panasonic has own battery plant). The first project to be ready on-line by the end of 2019, while all four should be ready by the end of 2020. "In January, the CPUC authorized PG&E to launch an accelerated solicitation for energy storage projects capable of meeting reliability needs for three specified local sub-areas in the northern central valley (Pease local sub-area and Bogue local sub-area) and spanning Silicon Valley to the central coast (South Bay - Moss Landing local sub-area). If approved by the CPUC, the first of PG&E’s proposed projects is scheduled to come on-line by the end of 2019, with the other projects scheduled to come on-line by the end of 2020. For details on the four proposed projects, please refer to the table below."